Castles have shifted from military symbols to family homes, from purely functional buildings to fantasy objects, adopting a multitude of roles during and since the Middle Ages, as well as a number of forms, particularly in the mountains. A panorama of the changes in an eminently flexible concept. The military also had its Renaissance. Progress in artillery made medieval fortresses obsolete. During the 1500s, the wars in Italy produced a revolutionary architectural concept that was adopted and perfected by Vauban one hundred years later. The star-shaped fortress with bastions spread throughout Europe, notably south of the Alps with the Fort carré in Antibes. 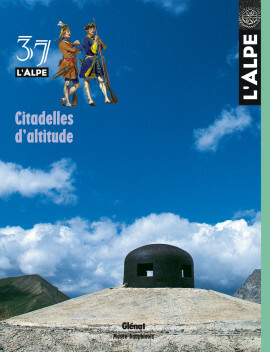 An exceptional architect and strategist, Sébastien Le Prestre, Maréchal de Vauban, inspected the Alpine fortresses during two tours in 1692 and 1700. Above and beyond engineering aspects, his writings reveal an urban planner concerned with the well-being of inhabitants and a humanist who understood the needs of the population. That is a relatively unknown aspect of the man who died just 300 years ago and who left his mark on a number of cities including Briançon and Mont-Dauphin, that are candidates for inscription on the UNESCO world heritage list in 2007. The fortresses and cities of the Dauphiné underwent considerable change during the 1700s. From simple rear bases for military operations in Italy, they became garrison towns following the border changes in 1713, much to the satisfaction of the inhabitants, long submitted to the demands and violence of the marching troops. Once permanently stationed, the troops tamed down and became part of the economic and social life, leaving a major imprint on the towns. The strategic border regions of the Alpes-Maritimes department are studded with fortifications. Established at the end of the 1800s, the defensive line facing Italy was significantly reinforced by Maginot in the 1930s. The massive presence of the army changed forever the mountain region north of Nice and the life of its inhabitants by developing the local economy and roads. Both a physical test and human adventure, being posted to a high-altitude fort for a winter constituted an exceptional experience. Many accounts and writings bear witness to the romantic solitude, contrasting white, stormy skies with the feverous writings. Jean Roux, then Renaud Bellucci and Marie-José Cuinier opted for an eagle’s nest when they decided to settle in the Cuguret fort, in the Ubaye. Fort may rhyme with comfort, but that was lacking here and they had to find other reasons to stay, while never letting up on their… efforts. Look twice ! In Switzerland, each chalet, each rock can hide a bunker because the military are experts in camouflage. An impressive network spans the country, masked in the landscape or delving deep into the mountains. The camouflage can be observed on mountain passes and along trails… and in the surprising book by photographer Leo Fabrizio, Bunkers (Infolio, 2004). Restoration of high-altitude citadels is now on the agenda. Declared historical sites for artistic activities and tourism, the military constructions are the centre of attention for associations, institutions and the public. Both Italy and France have spent a number of years transforming them into cultural and welcome centres, but with different goals in mind. The image of Switzerland as a sleeping beauty is outdated. With his photographs, Andri Pol presents his country in a new light. On the heels of a liberated generation, he provides a modern, uncorsetted view of a society changing at full speed. As for Heidi, among the 15 films to date, the latest was rated X. A map of taste is drawn by our many dishes reflecting their original territory. As part of the landscape, many products take on its qualities, guaranteed by the territorial designation of origin and protection efforts. This delicious geography is an invitation to tasty journeys to discover the ingenious inventions of each territory.